Tech Source, Inc., an independent supplier of high performance embedded video, graphics and high end computing solutions, has partnered with RunTime Computing Solutions (RTCS) to accelerate GPGPU (general purpose graphics processing unit) development on its Condor 3000 XMC video graphics cards. The Condor 3000x is a leading edge XMC form factor graphics/video card for use in applications that require very high-end graphics and computation. Based on AMD’s Radeon 6760 GPU, the Condor 3000x product offers exceptional performance with immersive desktop-level 3D graphics and outstanding multimedia features. Available in the UK from Sarsen Technology Ltd, and delivering 576 GFLOPs of peak single precision floating point performance, the Condor 3000x graphics processor is ideal for UK customers with general purpose, graphics processing unit (GPGPU) applications such as ultrasound, radar and video surveillance. Supported by the industry standard OpenCL™ programming language, GPGPU application software development is accelerated with the AMD Stream Software Development Kit (SDK). 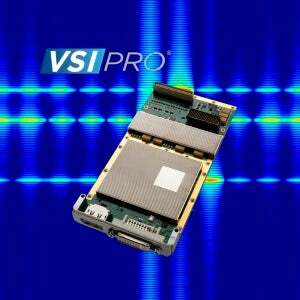 RunTime VSI/Pro provides performance-portable signal processing functionality, including FFTs, correlations, convolutions, and linear, vector, and matrix operations to enable real-time and near-real-time applications. The RunTime library provides Condor 3000 users with this performance-portable library that enables existing VSIPL programs on the new hardware thereby providing low cost portability for existing architectures. Selwyn L. Henriques, president and CEO of Tech Source Inc., said: "We partnered with RunTime as we wanted to make it easy for customers using our boards to develop high performance GPGPU applications in the OpenCL world. Early benchmark tests demonstrate that using RunTime’s VSI/Pro GPU on our boards speeds the development process significantly and enables engineers to be up and running with their GPGPU applications in hours rather than weeks." "GPGPU computing is gaining momentum in the military/defense arena as a simpler way to do complex multiprocessing, particularly for sensor processing applications where high rate processing and calculation are needed," he added. "Our close collaboration with AMD, and now our partnership with RunTime with its VSI/Pro GPU library, enables us to help reduce time to market for our customers’ GPGPU products."